How to Select Clay for Sculpting. Sculpting with clay is a fun, creative activity that anyone can enjoy. Many types of clay exist today, both natural and synthetic. The one you select for your sculpting will largely depend on your purpose. Whether you are a professional sculptor, an art student or just trying it for fun, learn about the different kinds of clay available to you. Learn about the different types of clay and become familiar with your options before you select clay for your project. Natural earth clays include earthenware, stoneware and terracotta. These are water-based clays. Polymer clay is a man-made oil-based clay with unique properties. It can be made to look like other substances such as metal or stone, and is easy to work with because it doesn't dry out. Think about the project for which the clay is intended. This will help determine which type of clay to select. Polymer clay that is already colored works well for bright beads, for example. Using a natural clay may be your choice if you plan to sculpt a piece that you will later glaze. Determine your time frame for your sculpting. Polymer clay does not dry out, therefore you can put aside your sculpture for a time if need be. Natural clays that are water based need to be kept moist and will dry out over time. Consider the firing equipment to which you have access. Earthenwear, stonewear and terracotta clays must be fired in a kiln at very high temperatures ranging from 1,800 degrees F to over 2,300 degrees F. Polymer clay can be fired at much lower temperatures that can be reached by a home oven. Buy a small amount of both natural and synthetic clays and work with them. You may find that you prefer one type to another because of its texture or other characteristics. Liking the feel of one clay over another may well override any other deciding factor. Have a spray bottle of water handy when working with natural earth clay. If it gets dry while you are sculpting, spray it lightly with water. 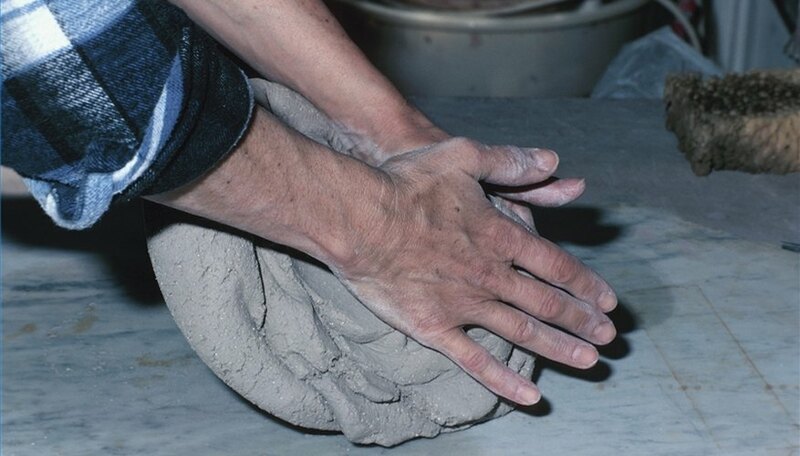 Natural clay must be kept moist at all times and can be stored in an airtight container. Moisten with a damp cloth when needed. Polymer clay can be kept in zip-top plastic bags or plastic wrap for up to 2 years.